He did not speak about 200 on the Israeli border, as widely reported.) 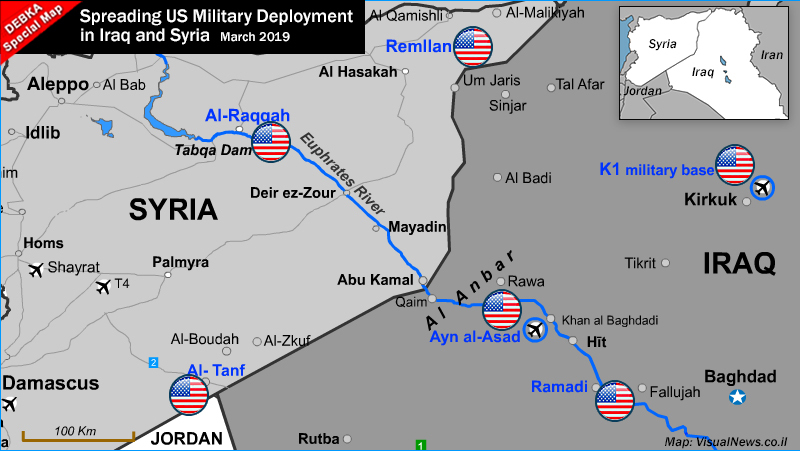 Two days earlier, Gen. Joseph Danford, Chairman of the US Joint Chiefs of Staff, denied a Wall Street Journal report that the US planned to leave 1,000 soldiers in Syria, while unnamed US military sources spoke of 1,500 American troops that would remain in North Syria. This entry was posted on March 24, 2019 at 7:29 AM and is filed under Uncategorized. You can subscribe via RSS 2.0 feed to this post's comments. You can skip to the end and leave a response. Pinging is currently not allowed.